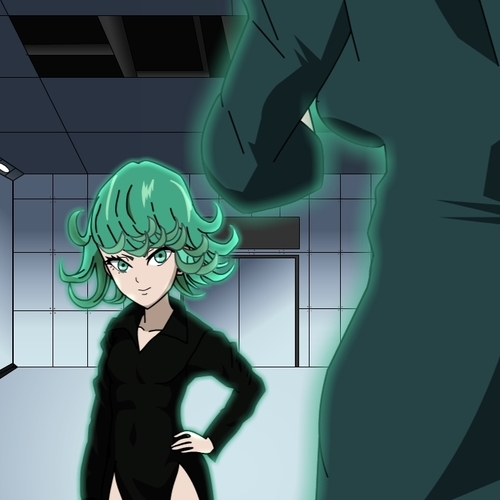 This animation includes a battle between tatsumaki and Fubuki (who are sisters) they both have psychic powers. In this scene, Fubuki is cautious and afraid to "set off" tatsumaki because she knows she can't defeat her in battle. Once tatsumaki decides to engage Fubuki in battle, Saitama shows up to save Fubuki and since he's OP (overpowered) Tatsumaki gets frustrated and flustered. He holds on to her hand preventing her from harming fubuki and gets flung all over the environment. She complains and objects about why he is still holding her hand, so he lets go. then Tatsumaki decides to have a real fight with Saitama. Then that's the end of the animation. View the video above to see the animation progress so far. 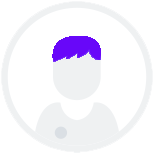 You can look at the characters bio for guidance on their caricature and voice types. I usually lip sync after I get the voices in, so the mouth movement in the work in progress video above is just show you how it will look even without voices. I'm hoping to get this project finished before the end of June. But it really should be done mid june. Voices don't need to be perfect, as long as people can watch it tbh. 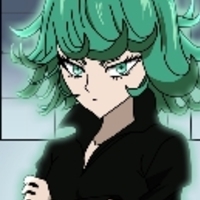 Tatsumaki has a rather brash personality and a typically moody demeanor. She is disrespectful towards most people, especially to those she deems incompetent, and is completely intolerant of disrespect towards herself, as shown when she pinned Genos to a wall for retaliating against her verbal abuse of Saitama. Tatsumaki especially dislikes being ignored or being called things like "brat" and "runt". WHY WON'T YOU LET GO OF ME! !, DO YOU LIKE ME OR SOMETHING? 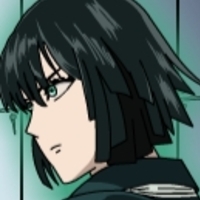 Despite Fubuki's psychic talents and potential, it has been shown that she, in fact, holds a massive inferiority complex, insecure and frustrated at living in the shadow of her sister Tatsumaki. While she agrees with Genos that she's capable of reaching the higher ranks of A-Class, she believes she could never reach the top of it, let alone reaching S-Class, due to Sweet Mask standing at Rank 1 preventing anyone from advancing to S-Class. As such, she gathered those of lower rank than her hoping she might one day surpass her sister through strength in numbers as opposed to Tatsumaki who works alone. Fubuki:.... Sister.... You acknowledge me? Fubuki: NO!, I won't Let you hurt them.